Welcome to the new website of Stazione Sperimentale del Vetro! 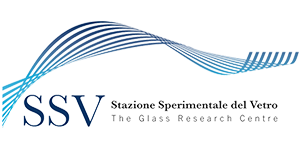 After many years of honourable service, we have decided to retire our old site and we have inaugurated a new one, updated both in its graphics and, above all, in its contents, to better illustrate the many research and consulting activities, and the wide range of analytical services that we offer to the entire glass sector. Browsing through the pages you will find information on both the services that constitute the historical core of our activities, and on all the innovations developed in recent years such as, to name but a few in random order, analysis and assistance on refractory materials, on site combustion optimization activities, audits, endoscopic inspections and energy balances of melting furnaces, assistance and analysis protocols specific to the pharmaceutical and food sectors. The contents have been organized in such a way as to be immediately accessible from many points of view, whether they are approached considering the production sector of origin (flat glass, hollow glass, raw materials, etc. ), or alternatively the type of service required (research and development, training, on-site assistance, certification, etc. ), or even starting from the type of laboratory analysis (mechanical tests, optical tests, etc. ), or rather from the specific market of the articles (food and beverage, pharmaceutical, construction, etc.). A convenient search function completes the ways of access to information, and for any further or more in-depth request, in the contacts section you will find all the useful information to reach us physically, by phone or by e-mail.